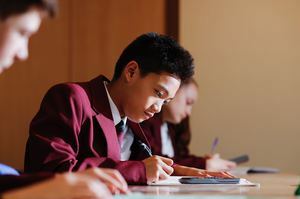 We are committed to providing a rounded, holistic education at St Joan of Arc Catholic School, however, there is no question that academic success plays a crucial role in young person's development. Gaining valuable high quality qualifications will unlock doors to future opportunities and enhance a students prospects. Striving to acjieve the highest academic standards will also cultivate the necsessary personal skills and learning habits that equip our students to apply their knowledge to new situations and continue their love of learning in future years.